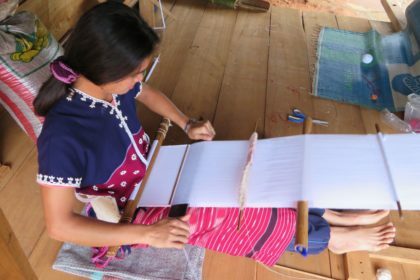 The Hands to Heart Hill Tribe Women’s Cooperative was created through Lanna Foundation to support the mission of the Hill Tribe Women’s Cooperative to inspire each other to be role models to their children, be creative entrepreneurs, and play an active role in the economics of their families who struggle with oppression and poverty. 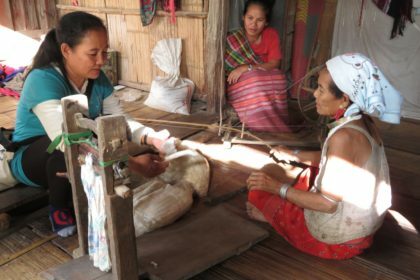 Through the support of the Hands to Heart Hill Tribe Women’s Cooperative and Lanna Foundation, you will be partnering with cooperative members to improve the livelihood of these women’s families. 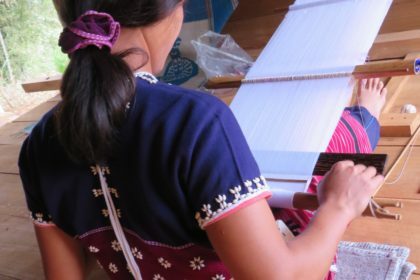 Donations from Hands to Heart go towards micro-loans to begin their entrepreneurship, training and development, and travel to other villages for inspiration and shared learning experiences. 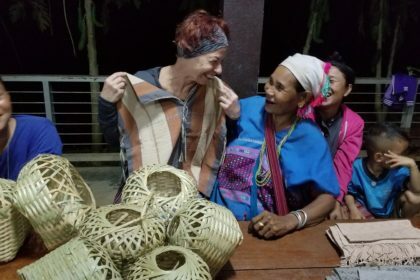 The textiles these women create are sold at night markets in their village and a small handful are hand-picked by the Lanna Foundation to be brought to the states where we sell to further generate funding for the micro loan project. For more information on where you can find these items please email us at info@lannafoundation.org or check out our Facebook page for upcoming events! Please write “Women’s Co-Op” in the notes section to designate funding.